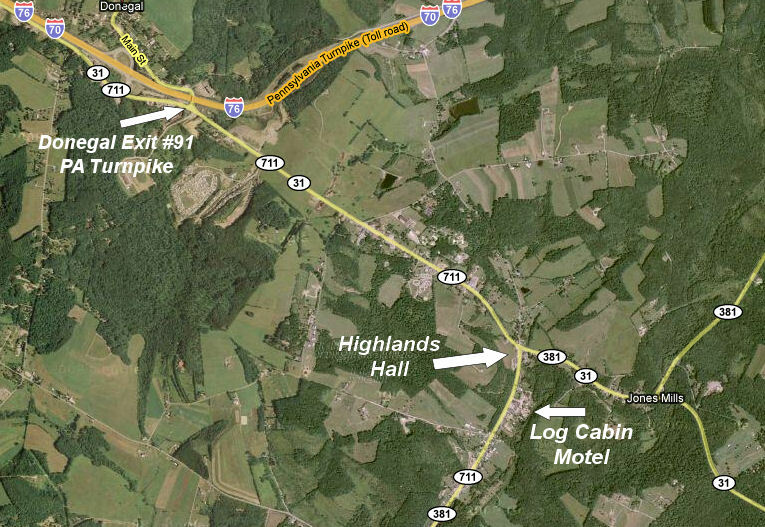 Highlands Hall is located at the intersection where Routes 31, 711 and 381 all converge. The Hall sits on the hill across the street from Sarnelli's market at the flashing light on 31. Click the map below to see an interactive Google map.